God Brought Me Here For A Reason: WFW: What's In Your Heart? Each one of us has our desires in many form. Some of us might have a 5-year plan which is in preparation for their long-term goal, others might have just keep it short and of limited time. Whatever it is, the thing is that, it was impressed in your heart and it became your desire. Others might have the desire of earning more that's why they are working too hard for their promotions. For a student, his desire might be to pass the course with a flying colors! For parents, their desire is for the betterment of the whole family. There are so many other things that every individual has been keeping in their hearts. The question now is that, whom do you consulted for the fulfillment of that desire? Your boss? your teacher? Elder? 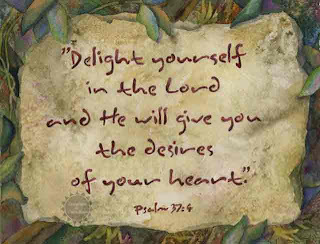 The Bible is very clear in targeting our desire... Before anything else, let us FIRST delight in God. How? By doing the things that He first impressed in our hearts when we first acknowledge Him and surrender our life back to Him. Share His Love. God bless everyone. Have a blessed week ahead.